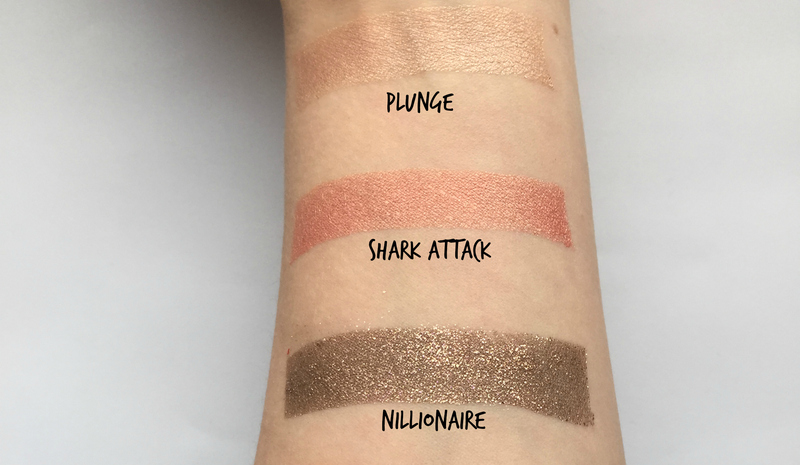 Eye Shadows: I grabbed 3 eye shadows from the Summer Collection, Plunge, Nillionare and Shark Attack. 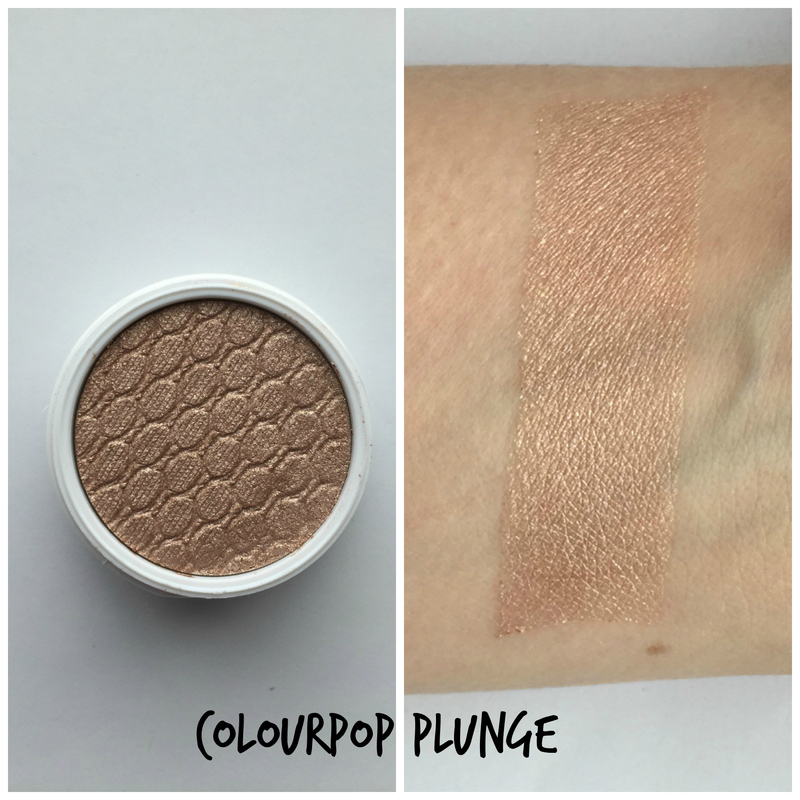 ColourPop eye shadows are soft, almost mousse-like, and they set fast. I personally like to apply them with my finger to get better pigmentation, but you can use synthetic brushes as well. Plunge, $5-Take the plunge with this light warm beige with a golden sheen in a Pearlized finish. This is the perfect warm, beige color and the pearl finish makes it shimmery and light. This color is perfect for easy day looks or using in the crease. Just make sure it sets before you blend it, I had a small issue with it fading in the crease if I didn’t let it set first. 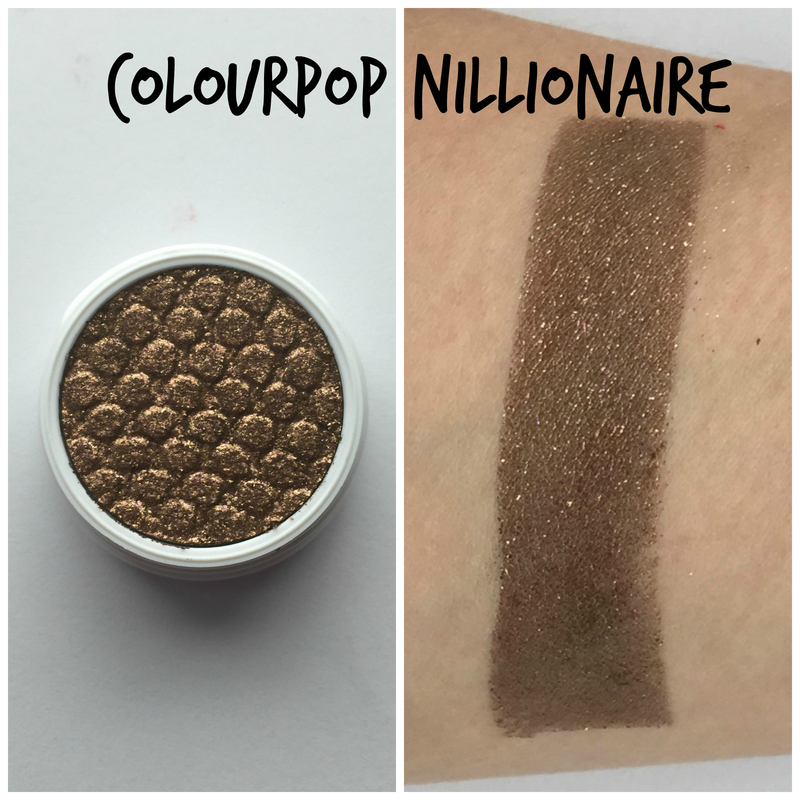 Nillionaire, $5-You’ll be looking rich in this warm bronze with tons of gold and multi coloured glitter in a Metallic finish. This is the bronze glitter shade to rule all others. It is basically pure bronze golden glitter and it is gorgeous. 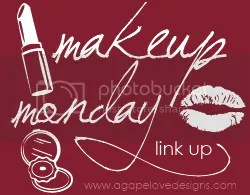 All you need is this shade and some winged eye liner and you are good to go. 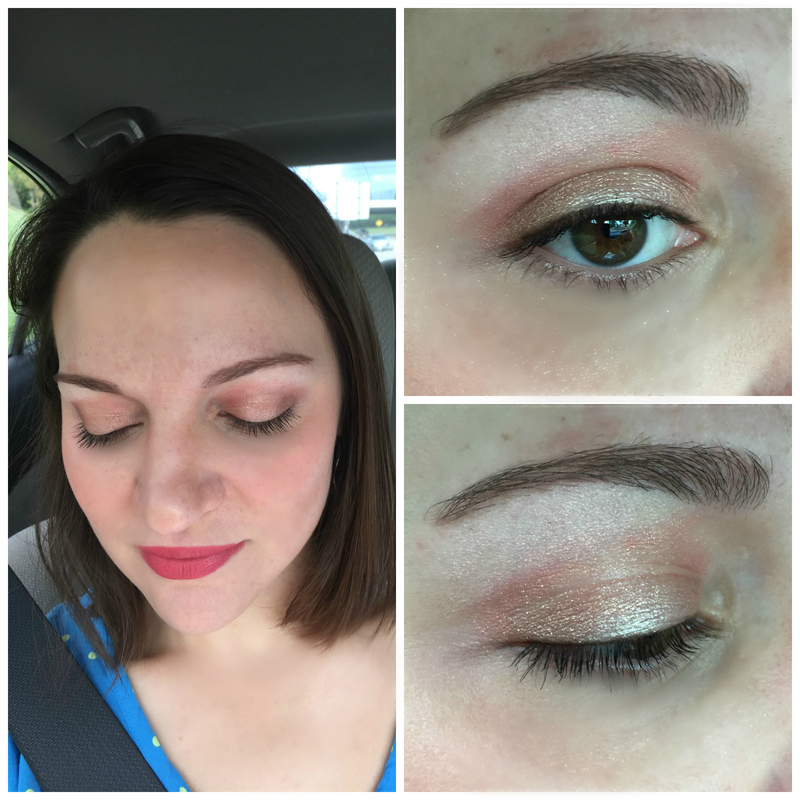 You can see how I did an easy day look here. PS: My first Nillionaire arrived beat up and damaged. I emailed ColourPop about and about 3 minutes later they had sent me a code for a free replacement Nillionaire. Great customer service! 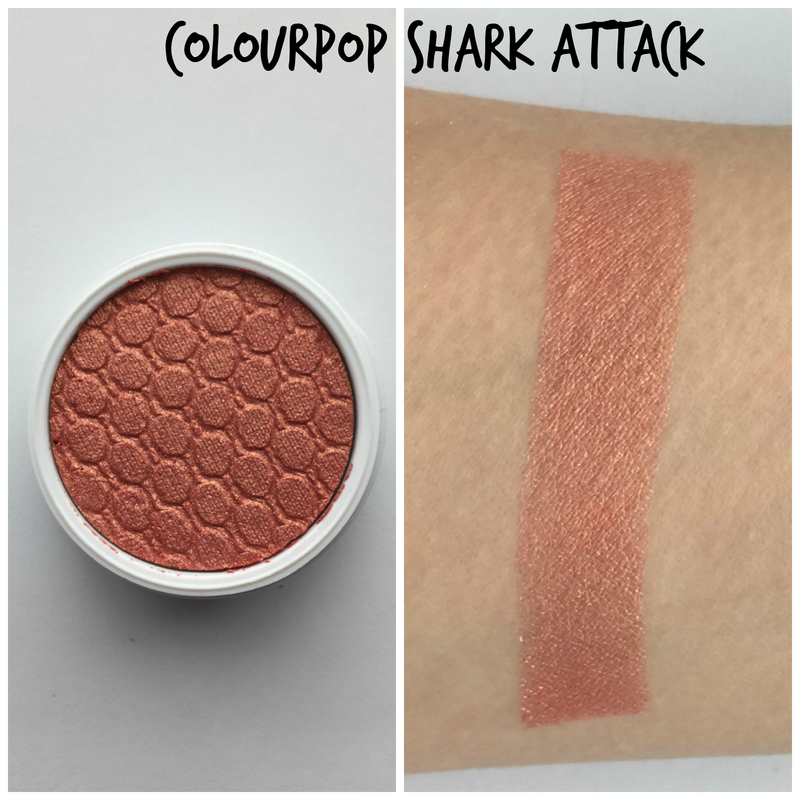 Shark Attack, $5-You’ll be fending off more than sharks in this mid-tone warm coral with gold duo chrome finish in a Pearlized finish. This is a shimmery, soft peach shade. I love eye shadow colors like this and I’ve used it both on my lid and in my crease. This may be my favorite of all the eye shadows in this summer collection. All in all, these might be some of my favorite ColourPop eye shadows. These are just the perfect warm colors for summer, and the shimmer and glitter is beautiful in the sun. 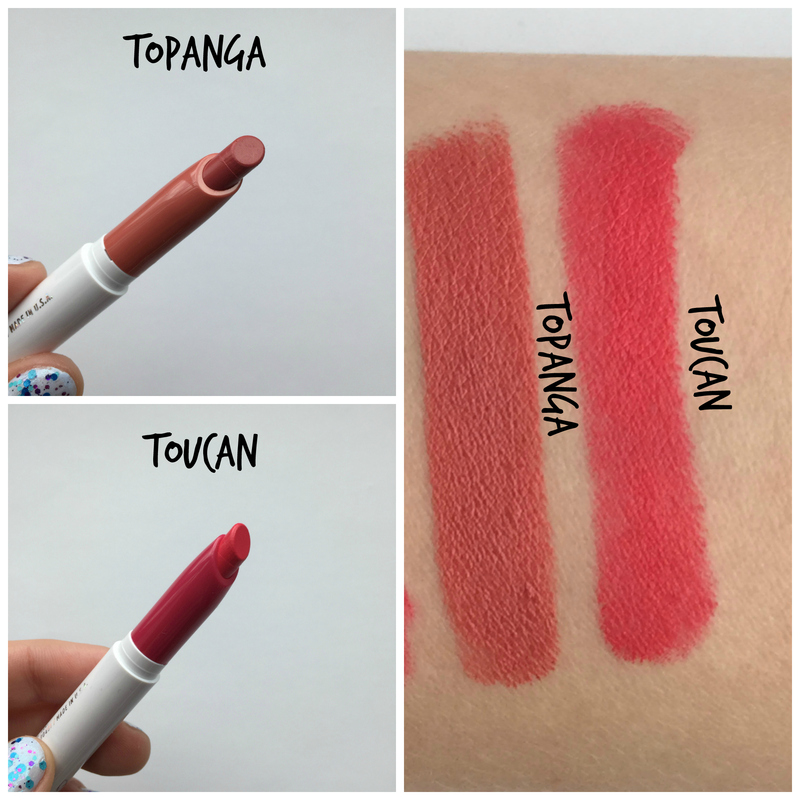 ColourPop Summer Lipsticks- To be honest, I have mixed feelings towards ColourPop lipsticks. Their colors are great, but they’re Matte formula just destroys my lips. However, I really wanted to try some of the summer colors, I picked up two I thought I might use. Topanga, $5-A mid-tone dusty coral in a Satin finish – You’ll love this like Corey loves Topanga. Topanga is a Satin finish which works for me wayyyy better than the matte finishes. It’s a lot more smooth, easy to apply, and less drying. This is a warm almost mauve-y coral, on me it looks like a really nice summer MLBB. This is definitely a win! 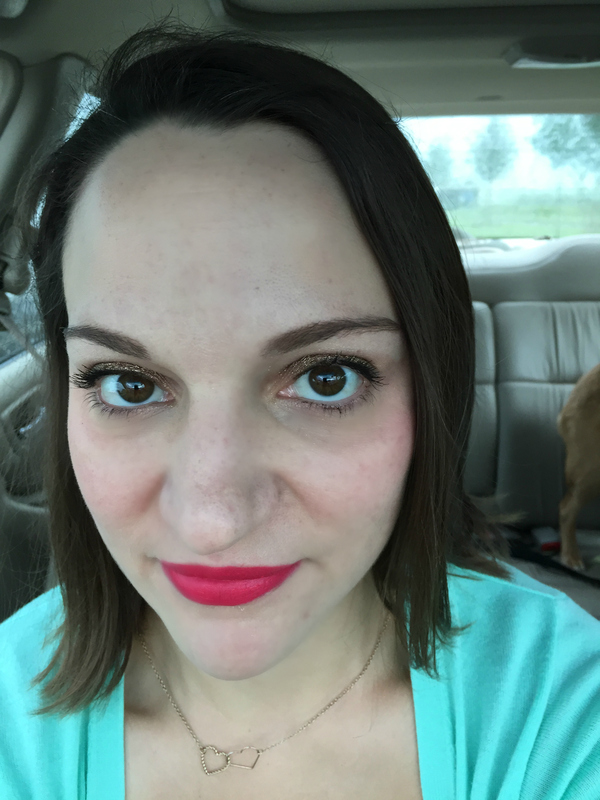 This is a super hot pink lipstick. I didn’t really get coral, just hot hot pink, with more of a red tone than blue. However, it’s a fun summer color. The matte\ formula is, again, not my favorite. I find it very drying and it settles into fine lines very easily. However, I do like this color and I think I’ll be wearing it this summer. Get Leid Blush, $8-No really you will. We hope you love flowers as much as you love this bright warm peach in a Matte finish. 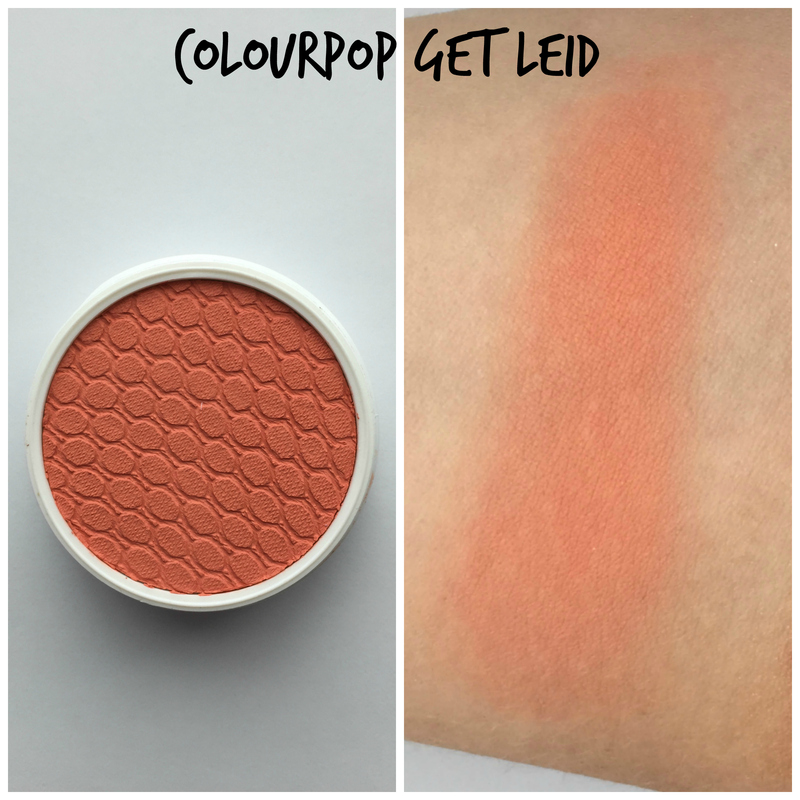 This was my first blush from ColourPop! I hadn’t bought any before because they looked too pigmented and I thought I would get annoyed trying to blend them out. However, now that it’s summer and I’m ridiculously lazy, these cream blushes are working for me. They last for wayyyy longer than my powder blushes, which is especially nice in the summer heat and humidity. This is a great coral and warm peach blush. I have warm undertones and coral blushes are my jam, they make me look like I have a nice summer glow. This formula is also silky smooth. It is as pigmented as I imagined, but it blends out nicely with my fingers or a brush to a soft, matte finish. 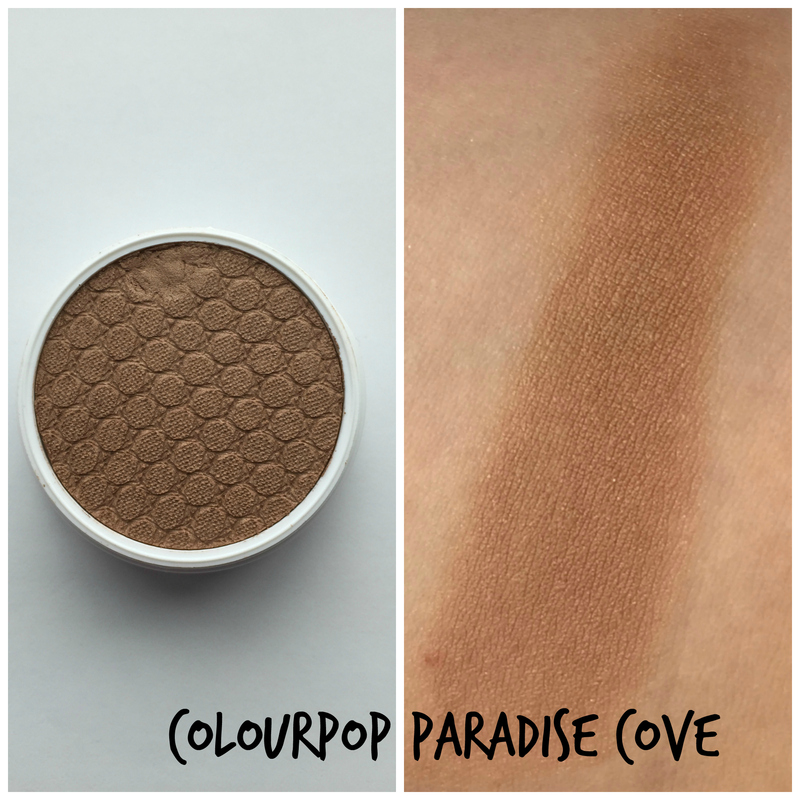 Paradise Cove Satin Bronzer, $8-Get that Paradise Cove glow in this golden beige in a satin finish. Recommended for Light- Medium skin tones Full disclosure: I’m not the biggest fan of bronzers. I pull them out in the summer to get a glow, but I’m usually too lazy to add them. That being said, I thought I would at least try this bronzer. Paradise Cove might be too dark for my skin tone initially, but it blends out nicely. Even though it might be a bit too dark, I can make it work because of its blending ability. I like the satin finish here too, it adds a soft glow. I probably should have picked a lighter color like Skinny Dip, but Paradise Cove will work for the summer. Nillionaire on the eyes, Toucan on the lips, dog in the back seat! Yep, I airbrushed the bejeezus out of my under eye circles. This was a legit Sunday brunch picture, and I was TIRED. 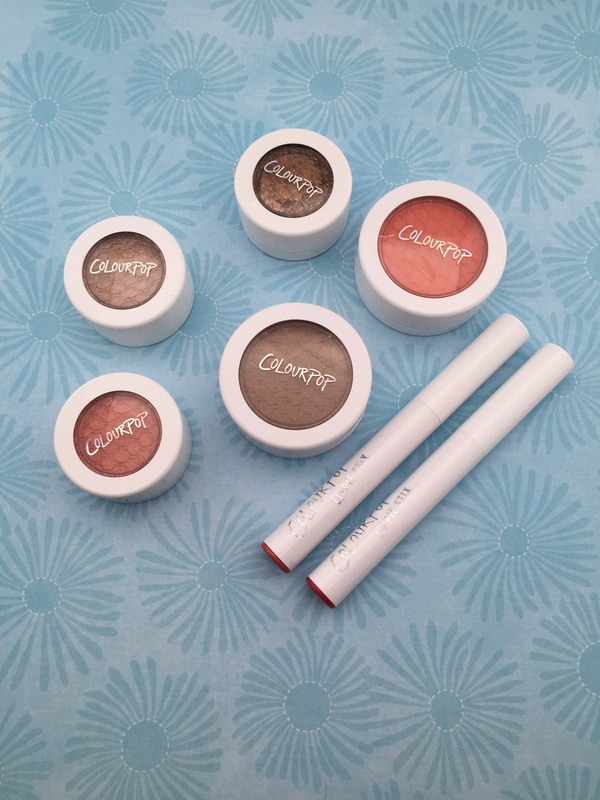 All in all, Colourpop’s Summer Collection was a huge hit for me, and perfect for those lazy summer days you don’t want to do makeup, but just want to smear things on your face. 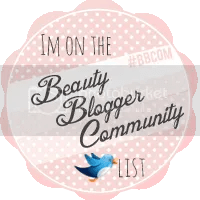 These products definitely started a Colourpop Resurgance in my makeup routine, and I’ve been trying out some of their blushes and highlighters with great results. More on that later! First how fun and summery is the label art on this beer? I immediately want to go play baseball and eat ice cream on the bach and camp and everything summer! Anyway. I picked this beer to show off because it’s a tasty one to bring to your summer events. It’s a lot more flavorful than I was expecting, there’s a bunch of different notes going on here. First, it’s crispy and hoppy, but then there’s a bit of a floral note, and a hint of spice. There’s even a bit of peppery lemon thrown in there. 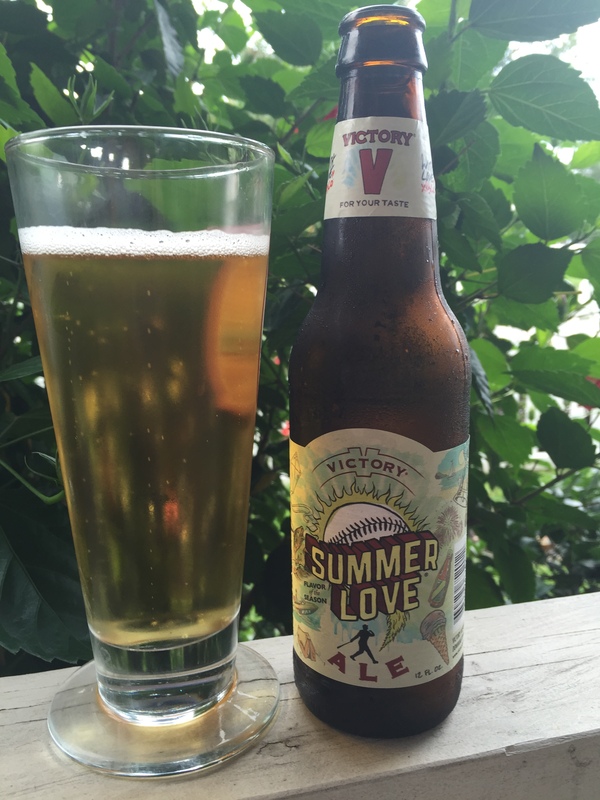 All together, it makes a light, interesting summer beer with a peppery, citrus kick. I’ll be drinking it in air conditioned places, mind you. But you guys go on and enjoy it at a summer barbecue or beach day! See you guys tomorrow for Saturday Scents, AKA I’m switching some posts around to review Haus of Gloi’s Summer Collection in time for their Summer Restock on Sunday! You will be well informed! -What’s your summer makeup routine? -What’s your summer beer routine? 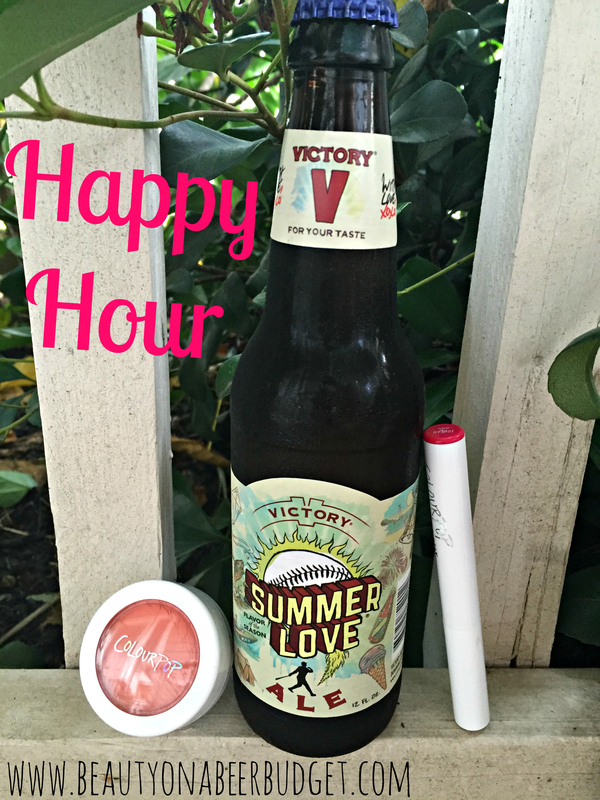 Sometimes I’m not in the mood for cream makeup products, but they’ve been a life saver this summer, so easy to apply! I definitely recommend trying them out!